Bowling pins may not look like very tough targets at first, but upon your first trial of shooting at them you will see those pins are a very challenging target, and if you don't hit them square on, you will likely be dealing with trying to shoot a pin off the table laying on its side. Use a gun that you are comfortable with, and that you handle/shoot well. You do not need the biggest, baddest .44 magnum or .50 Dessert Eagle to compete. Practice to insure you have a consistent grip, a good solid stance and an extremely smooth trigger pull. Shoot slow, take your time, line up your sites on the target. While it is common for the experienced pin shooter to blast 5 shots and knock off five pins in 3 seconds, you won't achieve that success using the "spray and pray method". Practice, Practice, Practice!!! You will become a better shooter if you practice. Just blowing off a box of ammo isn't practicing. Focus on grip, stance, site aquisition, and trigger pull. Don't be intimidated by the big fancy race guns with all the compensators, red dots, scopes, etc... Some people do shoot very well with these guns, but it is because they have PRACTICED with them. Just putting a red dot site on your gun doesn't mean you will shoot well. Have confidence in yourself. Don't be disappointed when you lose a match. Practice and get better. I lost every single match at the first pin shoot I went to, but enjoyed it so much (the match, not losing!) that I practiced, went back to the next match and I won some, and lost some. Pin Shooting is an excellent sport for the casual competitor. You don't need years of experience or fancy expensive custom guns to do well in bowling pin shoots. 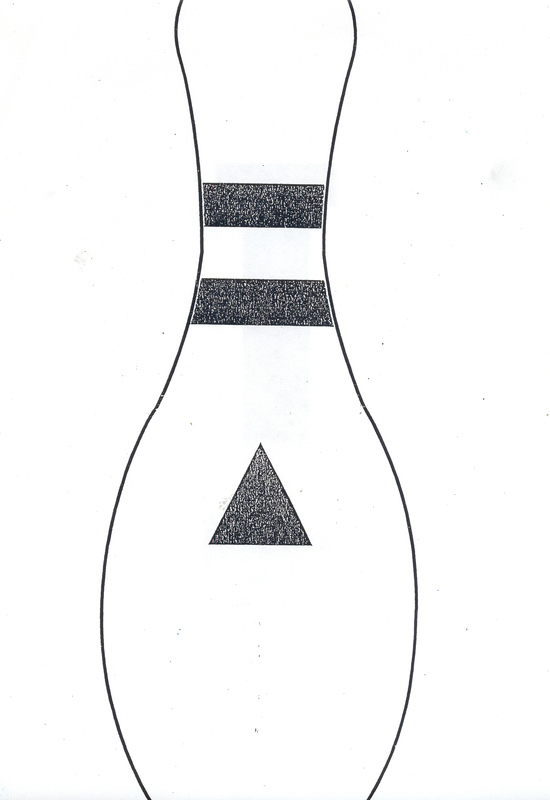 Click below to download a bowling pin practice target.